Continuing the gaming industry fallout from the international economic maelstrom, Just Cause developer Avalanche Studios has served walking papers to "around 20 employees." 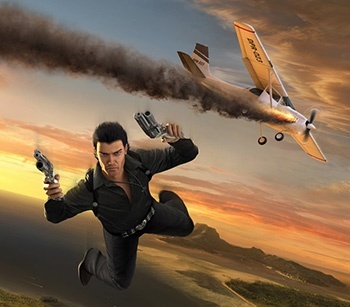 The development of Just Cause 2, the sequel to the firm's Grand Theft Auto-esque South American adventure, will not be affected by the layoffs, according to a report on GamesIndustry.biz. "As any other company we need to manage risks and sometimes that unfortunately means that we have to give notice and lay off staff. It's not more complicated than that," said Avalanche CEO Christofer Sundberg. This most recent round of job cuts follows 77 layoffs initiated by Avalanche in October of last year, bringing the grand total to nearly 100 employees lost. Alongside the cuts seen by larger firms such as EA, Microsoft and Sony, the total number of gaming industry employees left jobless over the past few months easily tops 10,000. I wonder how many companies are going to have to lay people off before we realize that maybe the gaming industry isn't as recession proof as previously believed.